Come enjoy Montana's Best Beer! 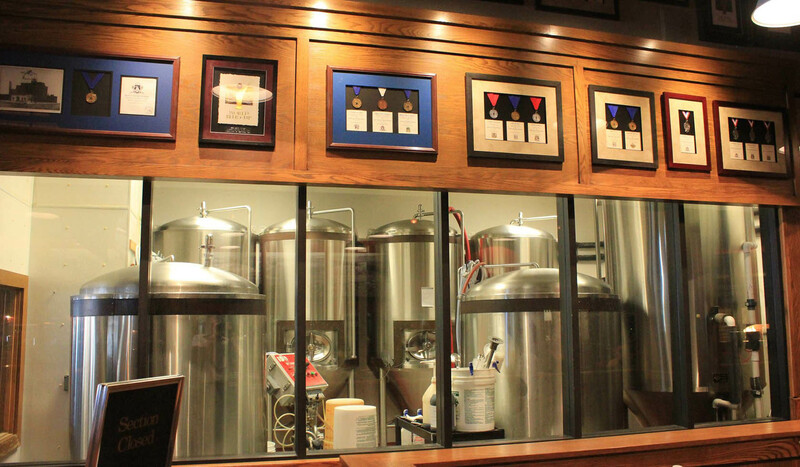 In 2010 the Montana Brewing Company won 10 national awards. Hands-down Montana's most award winning brewery. Aside from great beer the brew pub features a menu of certified Angus beef burgers, macaroni and cheese and wood-fired nachos! Adjacent is Hooligan's Sports Bar which has won best sports bar for the last 4 years in a row by the local paper's Reader's Choice Awards. They feature Montana's largest big screen - 8x12 feet - truly a sight to see! Montana Brewing Company is located in downtown Billings directly west of the Wells Fargo Bank. From east or west take 27th Street exit, proceed north on 27th Street, 1/2 block north of 1st Avenue North, then turn left to Montana Brewing company parking lot.Montana Brewing Company is located in downtown Billings directly west of the Wells Fargo Bank. From east or west take 27th Street exit, proceed north on 27th Street, 1/2 block north of 1st Avenue North, then turn left to Montana Brewing company parking lot.